The Government planned last week’s state pension speech to deflect criticism of the rising state pension age and the Hutton report, according to Shadow pensions minister Rachel Reeves. In a speech last week, Department for Work and Pensions secretary Iain Duncan Smith signalled the Government’s int- ention to “fundamentally simplify” the basic state pension. Money Marketing understands the DWP and the Treasury are in discussions over plans for a basic universal pension of £100, with an additional £40 for people who have never contracted out of the state second pension or Serps. An announcement on the proposals is expected in the Budget on March 23. 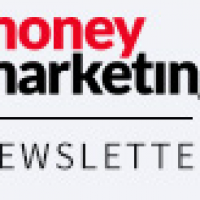 Speaking to Money Marketing, Reeves criticises Duncan Smith for not giving any detail on the upcoming changes. Last week, Lord John Hutton recommended that pensions for public sector workers shift from final salary to career average provision before the end of this Parliament. He also recommended linking the normal pension age in most public sector schemes to the state pension age, setting a “clear cost ceiling” for public provision to limit taxpayers’ exposure to employees’ pensions and introducing stronger, independent governance regimes.